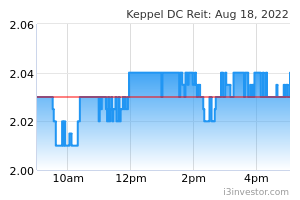 Keppel DC REIT (KDCREIT) reported its 3Q18 results which fell short of expectations due largely to an amount of capital expenditure that has been set aside for KDC SGP 3 and KDC SGP 5 (capex reserves). Gross revenue and NPI jumped 34.0% and 33.4% YoY to S$47.6m and S$43.0m, respectively. This increase was driven largely by acquisitions and higher variable income from its Singapore properties. Although distributable income to unitholders jumped 29.0% YoY to S$26.0m, DPU grew at a smaller magnitude of 6.3% to 1.85 S cents. This can be attributed to an enlarged unit base and capex reserves amounting to ~S$1m. We had not accounted for the latter previously. For KDCREIT’s 9M18 results, NPI grew 24.6% to S$115.2m, while DPU was up 1.9% to 5.47 S cents and this constituted 70.5% of our FY18 forecast. If we exclude a one-off capital distribution in 1Q17, adjusted 9M18 DPU would have grown 4.8%. Operationally, KDCREIT’s portfolio occupancy improved 1.1 ppt QoQ to 93.1%, given the ramp-up at KDC SGP 5 and expansion of space by a tenant at KDC DUB 1, but partially offset by a client which scaled back its operations at KDC SGP 1. There was only one lease renewal in 3Q18, which resulted in a positive rental reversion. In Aug this year, KDCREIT announced that it had entered into an agreement with Macquarie Telecom Pty. Ltd. (current tenant at Intellicentre 2 Data Centre (IC2 DC)) to construct a new data centre (IC3 DC) on the vacant land within the IC2 DC site in Sydney, Australia. We are positive on this transaction as the NPI yield on cost is expected to come in at a robust 7.3%, coupled with the fact that Macquarie Telecom will sign a 20-year triple-net master lease upon the completion. While we trim our DPU forecasts by 4.5% for FY18F and 5.0% for FY19F as we factor in the capex reserves for KDC SGP 3 and KDC SGP 5 (thus translating to a smaller payout ratio) and weaker AUD assumptions, the impact to our fair value is partially offset by the expected contribution from KDCREIT’s IC3 DC transaction (assumed from FY20 onwards). 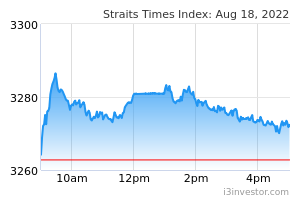 All-in, our DDM derived fair value is lowered from S$1.54 to S$1.48.